You have done your reviews on SEO software, reading different reviews and decided to go ahead and choose your software. Have you heard of traffic Travis , probably not – but hey wait “what’s affilorama”. You gotta be careful while ordering other wise you can get lumped with a extra $67 a month in addition to the traffic travis software valued at $97. Traffic Travis provides four distinct functions that allow you to collect data and do research on your selected Web site. The first one searches for popular keywords and competition, and another shows your site’s ranking amongst the top four search engines. Yet another tracks point-and-click advertisements, and the fourth grades your own site for its search engine optimization. 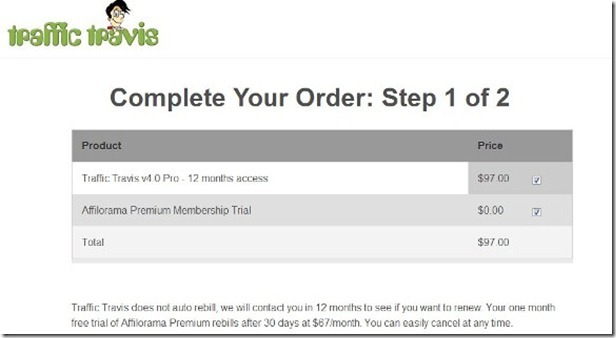 Make sure you uncheck or untick the Affilorama check box charging you $0 dollars ( the $0 dollars is only for the first month , then they charge you from the second month onwards if you dont cancel the affilorama free trial) if you dont want both programs at the same time. What is this affilorama trial ? Affilorama Premium is an online monthly subscription product that gives you access to highly detailed advanced affiliate marketing training and powerful pro-level marketing tools. Affilorama aims provide a step-by-step, over the shoulder training courses for beginners and advanced affiliate marketers to build a successful affiliate business online. SO only check this second box above if you want this affiliate marketing tools and can afford the extra $67 a month. Traffic travis is an awesome seo software and i totally recommend it over market samurai or SEO MOZ membership as its a simple to use software and gives most of the needed benefits that are also present in the other premuim SEO software providers. Traffic Travis is freeware, but it requires a free online registration. It comes as a compressed file. Traffic Travis plugin is a useful desktop-based tool equipped with essential functionality to boost traffic in your website by improving on your SEO visibility. I believe this review has provided enough information about the software. I suggest you try it to maximize your web experience. web page, it includes priceless Information. I will immediately seize your rss as I can not to find your email subscription link or e-newsletter service. Do you’ve any? 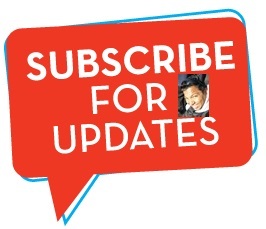 Please allow me realize in order that I could subscribe. Thanks.